so is this problem caused by my schematics or i didn't upload the bootloader? Missing 0.1uF caps on VCC, AREF pins. AREF pin connected to 5V - don't do that. It will connect internally using the ADC Mux if used. C1, C6 need to be 22pF as noted earlier. Xtal and C1, C6 should be right next to the chip as noted, with no traces going under the xtal. Board should have Gnd plane anywhere there is not a trace. Use Vias to connect top & bottom Gnd planes. Do not use traces to connect all the Gnds - have pins connect to the Gnd planes instead. Add a 1uF or 10uF electrolytic capacitor where power comes into the board, especially if the power leads will be long. Not the answer you're looking for? 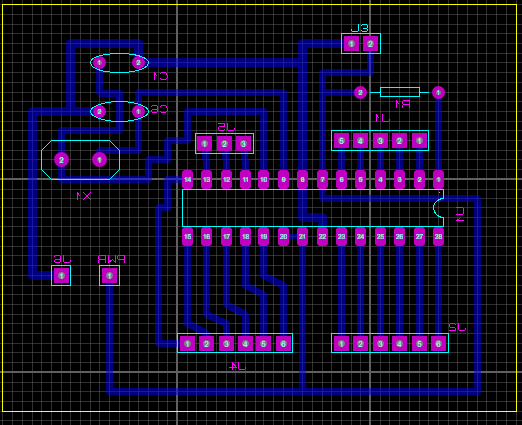 Browse other questions tagged atmega328 pcb-design or ask your own question. What are the implications of running an ATmega328P at 8 MHz and 3.3 V with the Arduino system? 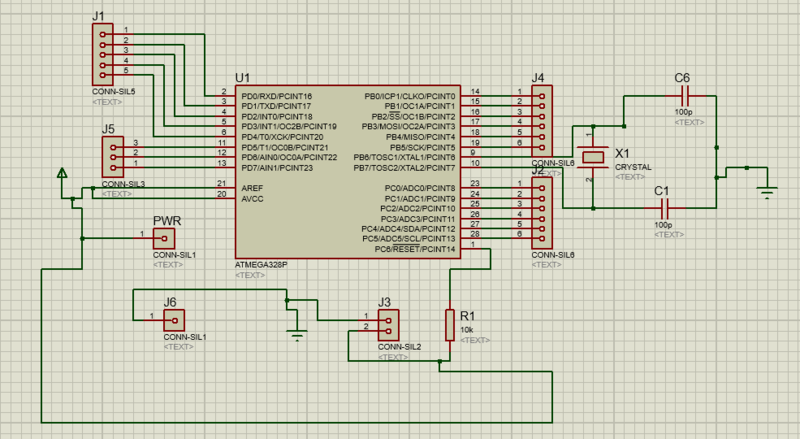 Is my atmega2560 schematic correct? How to burn bootloader/program an ATMega 328P with an external crystal 8 MHz oscilator?